I was happy to start reading Fame, Fate and the First Kiss, but I wasn’t as great as her usual novels. 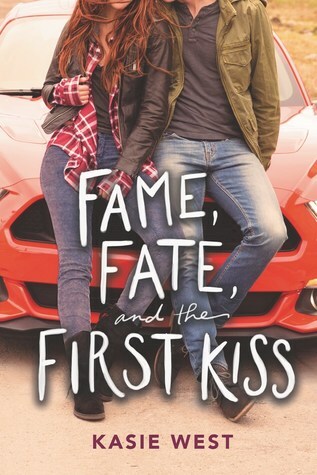 I give Fame, Fate, and the First Kiss by Kasie West three out of five hearts because it was very cute read, but thin in comparison to my favourites. Lacey has a broken relationship with her parents. Her mom lets her take every role she can get and her father is against the whole thing and blocks her at every possible turn. She is so focused on her career she doesn’t let anyone distract her, not even a boyfriend. I wish there were more emphasis on how she fixed her relationship with her parents instead of forcing her into a romance and having so much time spend on homework. There are also some passages taken from the script and I didn’t feel they were necessary and were distracting. Overall I think Kasie West tried to hook into a few trends in the literary world, but it didn’t work for me. This entry was posted in Book Review and tagged Book Review, Contemporary, Drama, Kasie West, Romance. Bookmark the permalink.